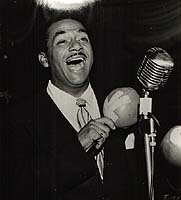 In a career that spanned half a century, Cuban bandleader Frank "Machito" Grillo embodied Latin Jazz and influenced several generations of musicians, contributing to a cultural explosion on the international music scene. MACHITO weaves together vintage film clips and recordings, Hollywood production numbers, and one-of-a-kind street performances from 1920s Cuba to contemporary New York. Sensational shows at such hot spots as the Cotton Club highlight the golden era of Latin Jazz in the 40s and 50s. Musicians Tito Puente, Dizzy Gillespie, Dexter Gordon, and Ray Barreto share fond memories of the scene while paying tribute to Machito. Warm and "simpatico," Machito laughs, reminisces, and plays some of the hottest Latin Jazz on film anywhere.